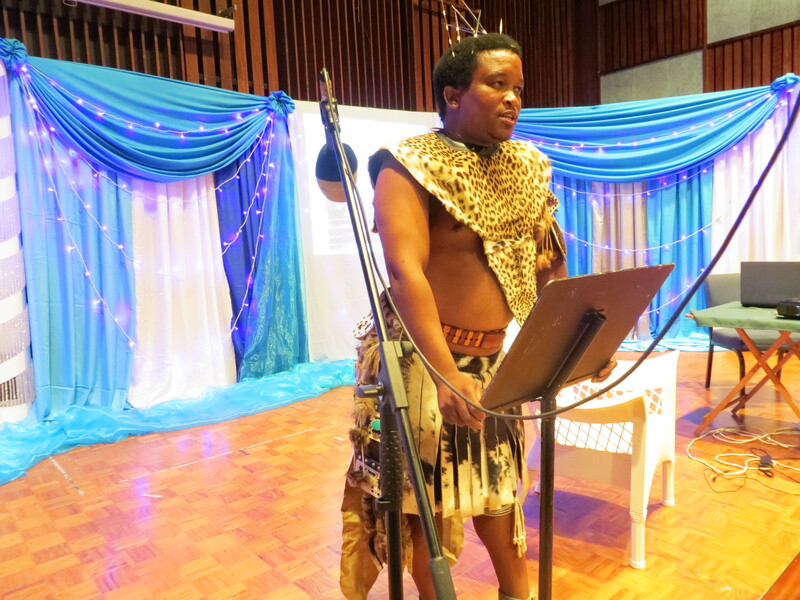 Nomkelemane Langa, a humble rural boy from Nkandla, discovered his talent as a praise poet in the Isulabasha Dancing Pencils Writing Club in Nkandla 10 years ago. He is now praise poet to President Zuma. He was mentored by Khethiwe Khuzwayo who was trained in right brain non judgmental non critical methods by Felicity Keats. Nomkelemane told Felicity that he was not trained by any particular person to be a praise poet. The gentle supportive approach by Khethiwe in the Isulabasha Dancing Pencils Writing Club helped him to discover his talent as a praise poet. As President Zuma’s personal praise poet, he has been to many varied occasions with the President. He has written a Praise Poem book of 170 pages in English called the Essence of Zuma. This was launched at the Cape Town book Fair in June 2012. His book, Essence of Zuma, is probably the first of its kind to be written in English. This was a hard job as a colleague sat with him, and the English words had to suit what the ancestors wanted . It is 168 pages long. An updated version with many coloured photos is being prepared at present and will be launched in the next few months. Nomkelemane has written another praise poem in isiZulu, also in the form of a Praise Poem.